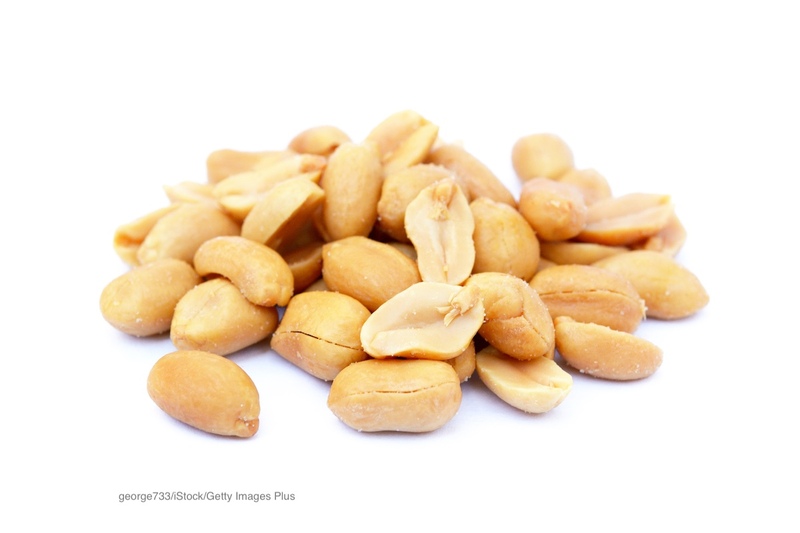 A new clinical trial has given hope to children who suffer from peanut allergies. That allergy can be deadly, causing anaphylactic shock within minutes. The study gradually introduced children to peanut protein over six months under medical supervision. The study results were announced at a conference of the American College of Allergy, Asthma & Immunology in Seattle. One in 50 children in this country is allergic to peanuts. And most FDA recalls are for undeclared allergens in regulated products. This regimen gradually builds up tolerance to the peanut allergen, reducing their sensitivity. This is not a cure, but is trying to reduce the risk that exposure to tiny amounts of peanuts will trigger a life-threatening reaction. Scientists are hoping to develop an oral medication. There are currently no approved treatment options for this allergy, and this type of allergy is not outgrown. The results of the study, published in the New England Journal of Medicine, was conducted by the PALISADE Group of Clinical Investigators. Participants ranged in age from 4 to 55 years. All had documented peanut allergies with a “challenge dose: of 100 mg of less of peanut protein, which is the amount in one third of a peanut kernel. The drug used in the study is called AR101. It is a peanut-derived investigational biologic oral immunotherapy drug. When a patient successfully completed the regimen, receiving 300 mg a day for 24 weeks, then were placed into a double-blind, placebo-control food challenge. The goal is to get the participants to ingest a dose of 600 mg or more without dose-limiting symptoms. Of the 551 participants, 496 were ages 4 to 17. Of these, 250, or 67.2% of the participants who received the active treatment, were able to eat a dose of 600 mg of more of peanut protein during the exit food challenge. Just 4% of the children who were given the placebo could eat the same amount of peanut without reacting. Adverse events did affect more than 95% of the younger participants. About one-third of participants in the active-drug group had mild events; 59.7% had moderate events, and 4.3% had severe events. Participants in the study still have to avoid peanuts, but the assurance that life-threatening events will be reduced will help improve their quality of life.